LOS ANGELES (Bloomberg) -- Tesla Motors Inc. was the top seller of California zero-emission vehicle credits in the past year as Toyota Motor Corp. led hybrid-car credit trades, according to a state tally. Tesla transferred 1,311.52 ZEV credits from Oct. 1, 2012, through Sept. 30 this year, 32 times the number of Suzuki Motor Corp., the next biggest seller, according to a California Air Resources Board report on Wednesday. Toyota transferred 507.5 AT PZEV credits, those generated by its Prius hybrid, and General Motors Co. acquired the same number, the report said. Prices and specific trades between companies aren’t tracked by California, said Dave Clegern, a spokesman for the state agency. All automakers covered by the program are “in compliance and that to us is the goal,” Clegern said. California, with authority to set pollution rules that are more stringent than U.S. standards, requires automakers to sell electric or other non-polluting vehicles in proportion to their market share in the state. The state’s target is to get 1.5 million zero-emission vehicles on the road by 2025. Companies listed by California as acquiring ZEV credits from Oct. 1, 2012, to Sept. 30 were Chrysler Group LLC, GM; Honda Motor Co.; Jaguar Land Rover; Fuji Heavy Industries Ltd.’s Subaru; and Volkswagen AG. The report didn’t identify the supplier of credits to each of those carmakers. The annual state tally shows credits based on exhaust emissions rather than numerical units generated per vehicle. While Suzuki doesn’t currently sell electric vehicles in California, companies can transfer credits accumulated in the past, Clegern said. Suzuki discontinued U.S. auto sales in 2012. Elizabeth Jarvis-Shean, a spokeswoman for Tesla, declined to comment on the ARB’s report. Steve Curtis, a Toyota spokesman, couldn’t immediately comment. Tesla, intending to be the world’s biggest and most profitable seller of rechargeable autos, has reported ZEV credit sales this year through June worth $119 million, or 12 percent of its first-half revenue. Elon Musk, the company’s co-founder and biggest shareholder, has said such credit sales will decline in 2013’s second half compared with the first six months of the year. 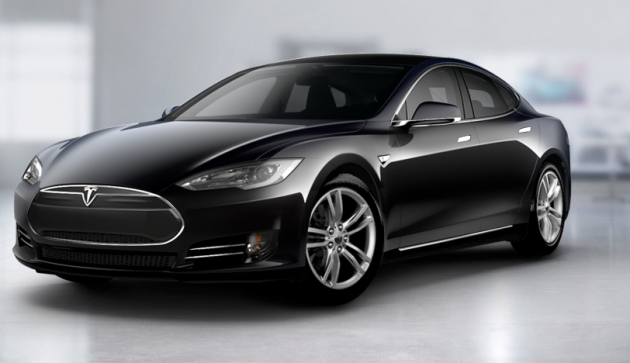 The automaker plans to sell 21,000 Model S sedans worldwide this year. The company is too small to be required to accrue the state’s ZEV credits and can sell all it generates. It hasn’t yet released ZEV revenue for the quarter that ended Sept. 30. Each Model S, priced from $70,000 to more than $100,000, generates as many as seven ZEV credits, the maximum issued by California. That’s because of its driving range of as much as 300 miles (483 kilometers) per charge and ability to be rapidly refueled by swapping its battery pack with a charged one.